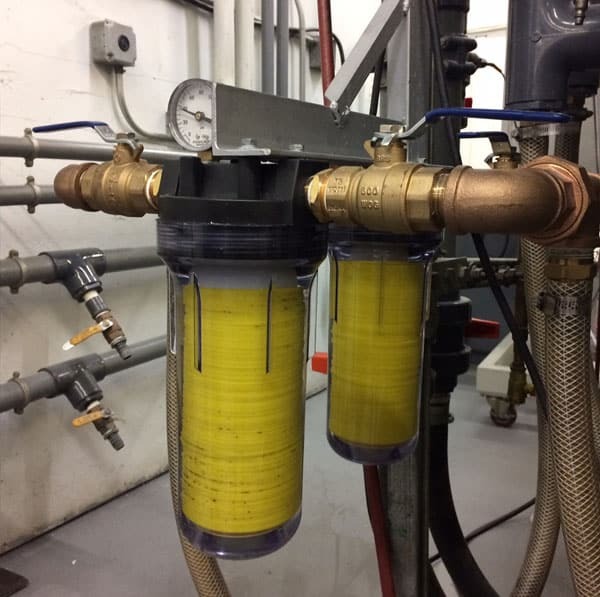 Whether you are using a water-based or an oil-based coolant system, coolant filtration is essential to maintain industrial machinery. 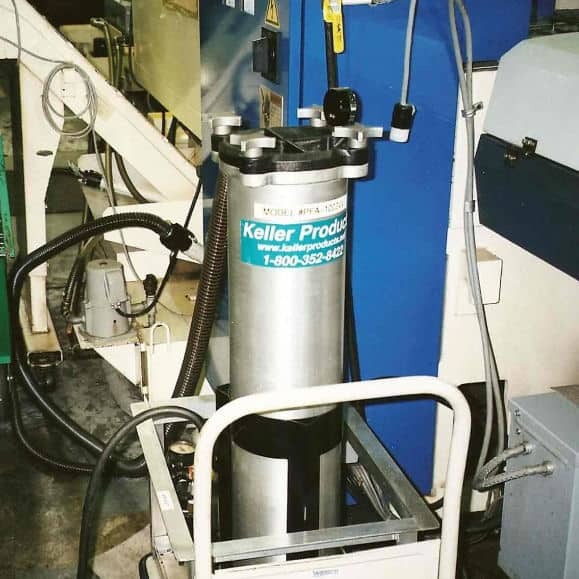 Keller’s coolant filtration products remove sludge and chips from coolant sumps – including particles as small as 1 micron in size. Specific designs can handle pressures up to 300 psi. Portable pump/filter systems can remove both floating and settled chips and fines from coolant or oil. Flow rates as high as 20 GPM, and filtration down to 1 Micron. Economical Inline Coolant Filters: Proprietary cleanable filter design for removing chips from coolant supply lines. Filter assemblies rated up to 300 PSIG. Inline Bag Filters: Remove chips and fine particles as small as 1 micron from coolant or cutting oils. Ideal for protecting cutting tools and spindles. Keller bag filter housings with felted polyester bags provide excellent solids holding capacity to ensure uninterrupted runs. Filter bags are easily changed without tools in a couple of minutes. The economical filter bags are available in ratings from 1 micron to 100 microns at the same prices. 25 micron bags are supplied as standard, or the customer may specify a different micron rating. The filter housings, available in 3/4″ and 1-1/2″ pipe sizes, are easily shop-installed downstream from the oil or coolant pump. Maximum operating pressure is 300 psig. 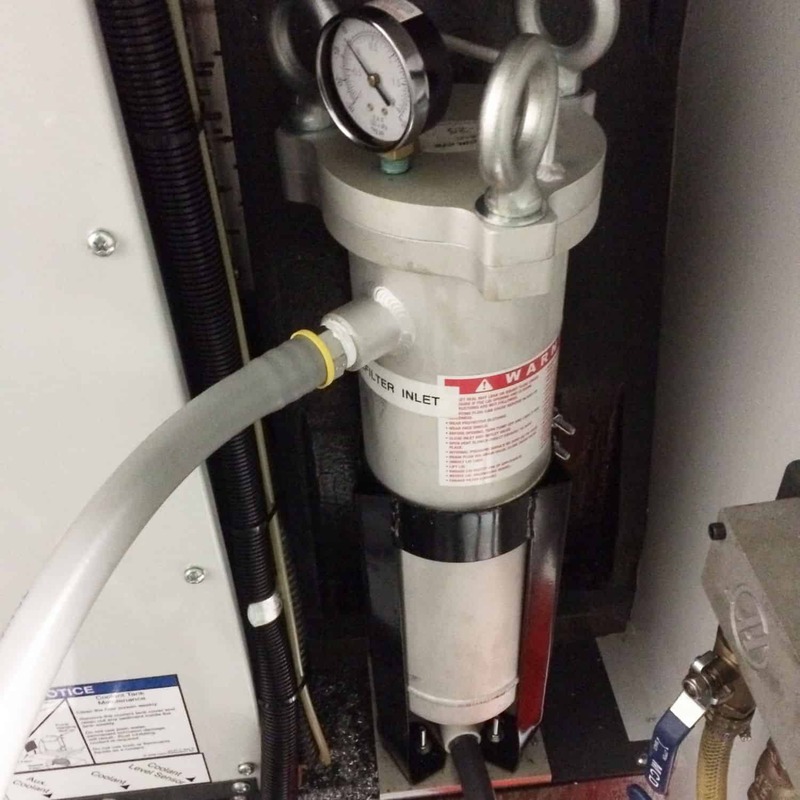 Why Are Coolant Filtration Systems Necessary? Machine parts that are being cooled are exposed directly to the coolant. Any contaminants that have been introduced to the coolant can cause damage. Sludge and chips can jam the mechanics; even tiny particles can cause damage that can result in increased wear-and-tear. Saving on new coolant purchases and disposal costs. 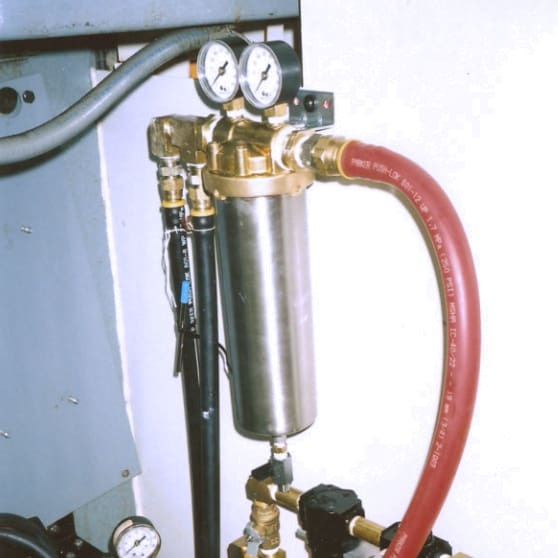 Portable pump/filter systems filter chips and sludge from coolant or cutting oil. Recycling applications include machine sumps, chip spinners, or chip compactors. With a maximum flow of 20 GPM, the Keller portable pump/filter can clean a sump in minutes. Inline bag filters remove chips and fine particles as small as 1 micron from coolant or cutting oil. They extend tool life and prevent damage that causes machine downtime. 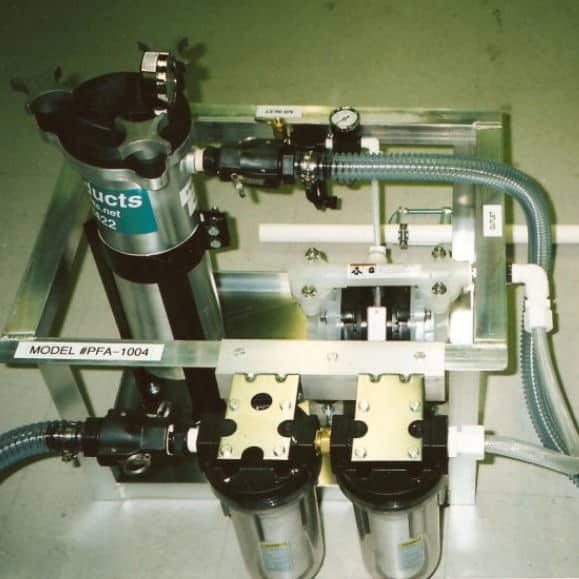 Inline filtration equipment with permanent elements prevents plugging of coolant delivery systems. Washable water filters provide superior filtration of even the dirtiest water, with permanent filters that can be easily removed and cleaned to eliminate the costs of buying replacement filters. Oily wastewater systems remove oil and other contaminants from industrial wastewater (both suspended and dissolved) to allow for environmentally friendly disposal. 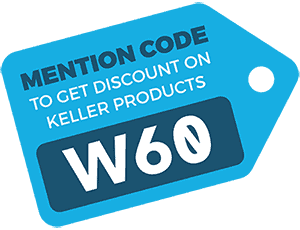 Click on one of the images above for further information, model information and specifications on Keller coolant filtration products.